‘The Missing Letter’, hand-cast in concrete and available in four colourways and one seductive special edition, lavishes attention on the alphabet’s 23rd character – a symmetrical symbol that is both aesthetically and phonetically pleasing, that’s admirable for reasons beyond being the chemical element sign for tungsten and the only letter name with more than one syllable. 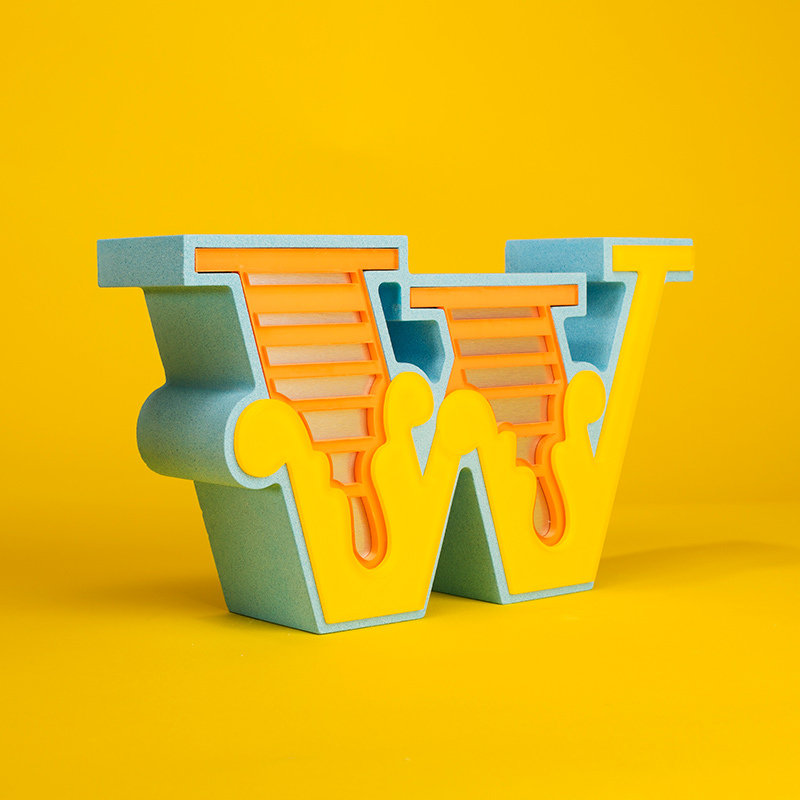 Stand back, take stock: the letter ‘W’ just always looks good. 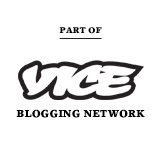 So now is your chance to place one in your collection. It may be the Ancient Greeks, the Romans or the Phoenicians we have to thank for creating the alphabet and bringing us the letter ‘W’ in the first place, but Ben Eine now brings it to bold, brilliant, three-dimensional new life. And while his first ‘E’ sculpture release of 2013 sold out pretty much instantly, this accolade to character 23 – in editions of just 10 for each colourway – is likely to follow suit. 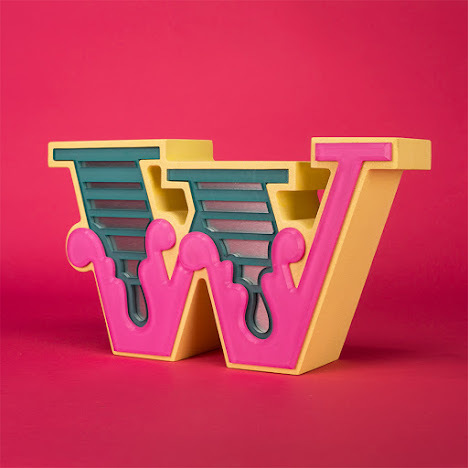 Ben Eine x Fluorescent Smogg "The Missing Letter" cast concrete sculpture edition. On Sale Thursday 13th October online from FluorescentSmogg.